Putnam County Playhouse: GOODBYE TO 2015!! At the end of every season, the Hazel Day Longden Theatre is put to bed. This year, "closing the barn" took place on Saturday, September 25. Board members and friends worked to make sure everything was cleaned and put away. Fiona Good and Melissa Green worked on the flower beds while Ric McFadden and Jim Green painted the fences around the air conditioners. 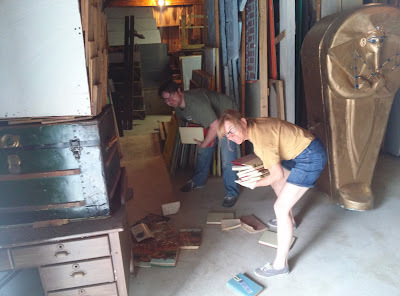 Dustin Bond and Caroline Good worked in the shop helping to sort through a season's worth of work and deciding what to keep. 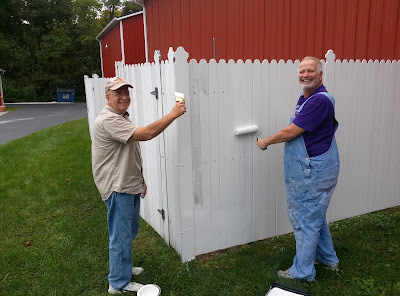 Ric and Jim made short work of a difficult job. 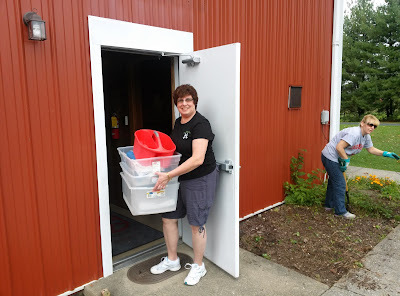 Kathryn Dory worked on the box office and lobby. 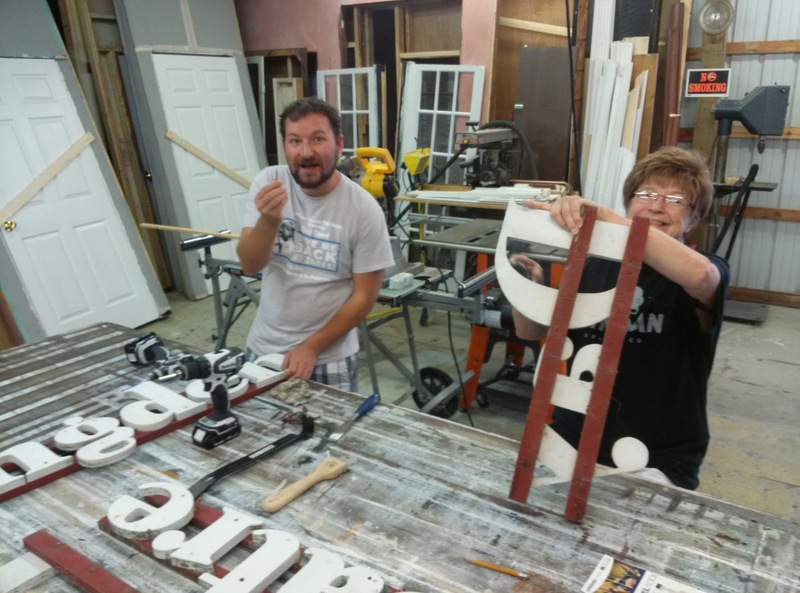 TJ Tincher and Linda Gjesvold worked on painting the display letters from the front and east side of the barn. They will be stored for the winter and put back up in the spring. 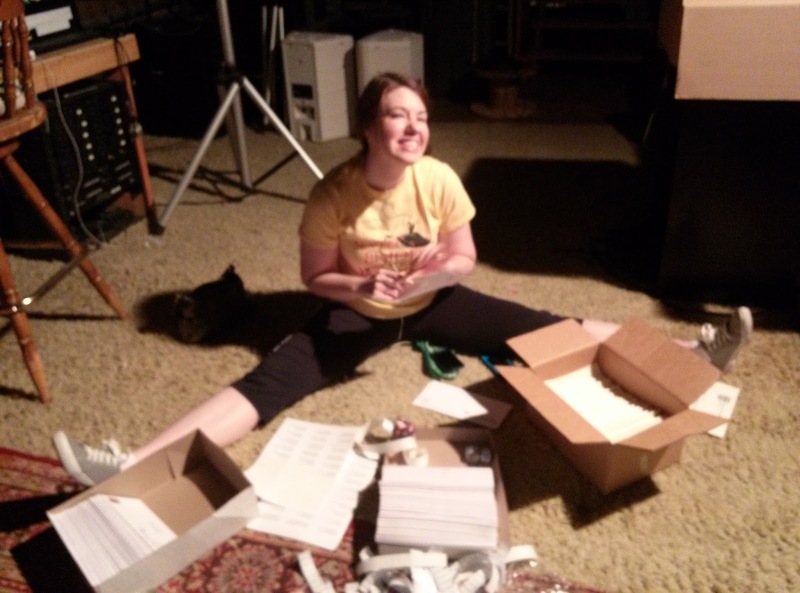 Meghan Armitage helped sort and stuff the envelopes for the mailing that announced the annual meeting and the Upstage Award nominees. 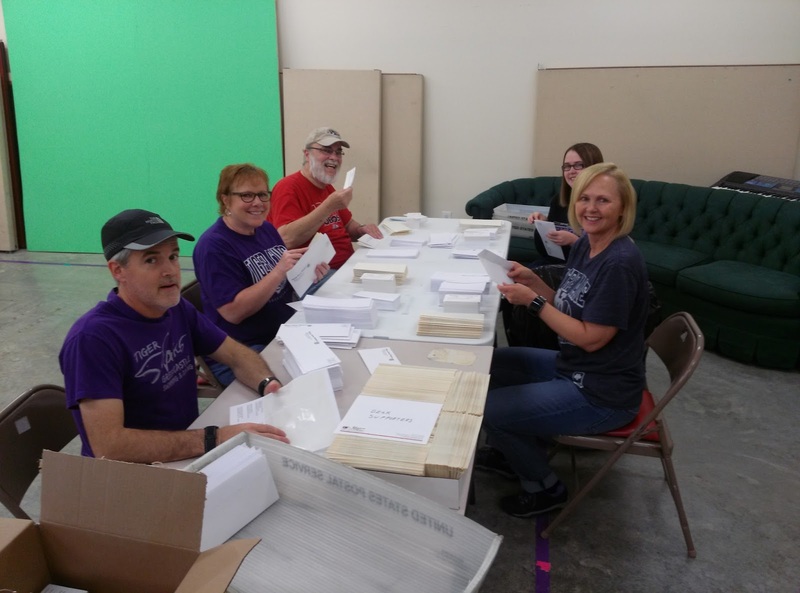 Brad Sandy, Drew Brattain, Jim Rambo, Kathryn Dory, and Lita Sandy made a great team working to get the letters in the envelopes. 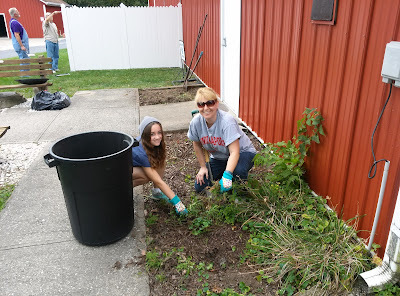 Shelly McFadden, Cecily Girton, and Bethany Bax joined them to finish up the job. 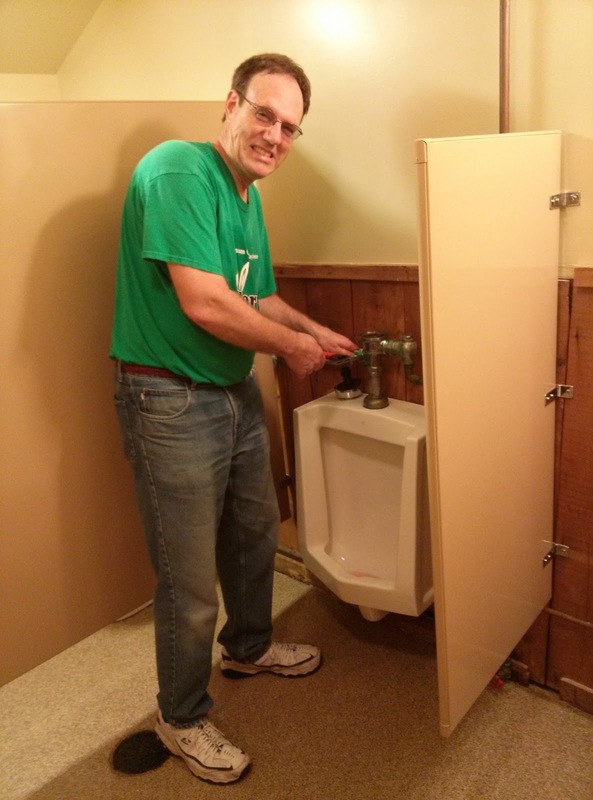 PCPH Board President Michael McClaine was given the most prestigious job. The board will continue to meet in the off season to make sure that the 2016 is the best it can be. Housekeeping and maintenance details will continue to be worked on. No electronic equipment is kept on the premises for the off-season. No trespassing is permitted on the private property. Camera surveillance and regular inspections by board members and local law enforcement officials help keep the facility safe. Thanks to everyone for their great support for the 2015 season. 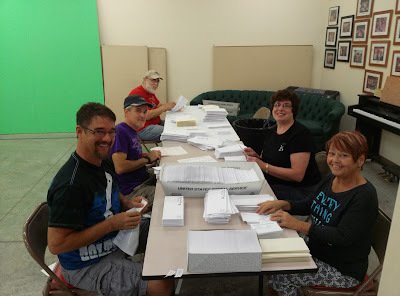 Watch the mail in November for your Fund Drive Letter, and please make plans to join us for our 2016 season.